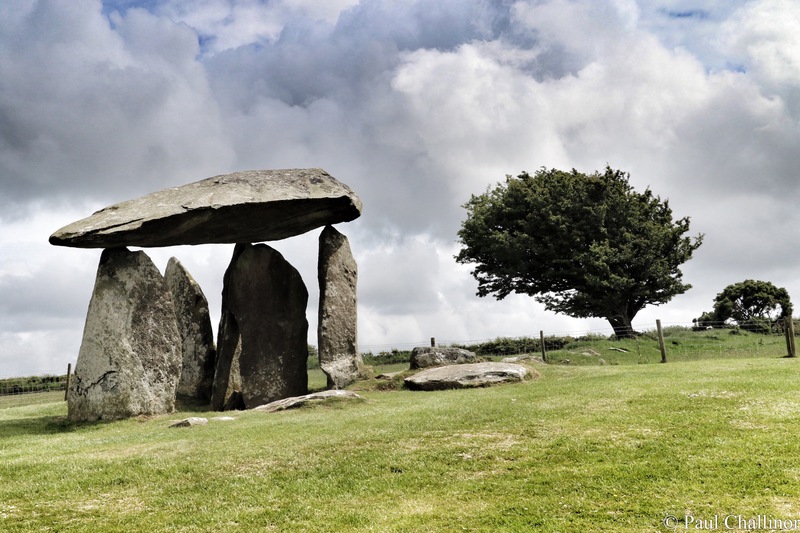 Tucked away on a small, narrow road in northern Pembrokeshire is the fantastic Neolothic Cromlech of Pentre Ifan. It is arguably one of the most spectacular tomb within Wales. I have to admit to being a little sneaky with this one. 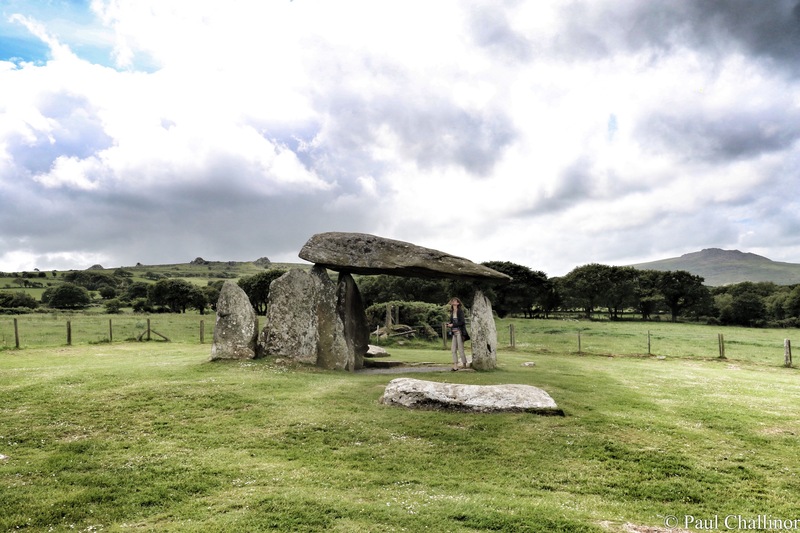 Aunty is not a great fan of Neolithic Tombs, and so while we were driving around The Pembrokeshire National Park we just happened to be passing. Built about 5500 years ago, the community commitment must have been significant during its construction. However, today we cannot know what inspired its design, nor the function to which it was put. It is situated near the top of a gently sloping hill above the river of Afon Nyfen, nestling under the Presili Hills where the bluestones used in Stone Henge originated. The size and height of the capstone are easy to gauge with Aunty standing underneath. The capstone is over 16 feet long and based upon my bias that Neolithic people were backward and possessed a poor understanding of engineering, I can’t for the life of me guess how they raised this behemoth onto the supporting uprights. It has been suggested that the monument, temple, call it what you will was built in two stages. The first phase included only the capstone, uprights and a small low cairn. The second phase then enclosed the whole into a mound that stretched down hill. However, this is controversial and there is no evidence that this is so, and it could equally have been built in one go (1). 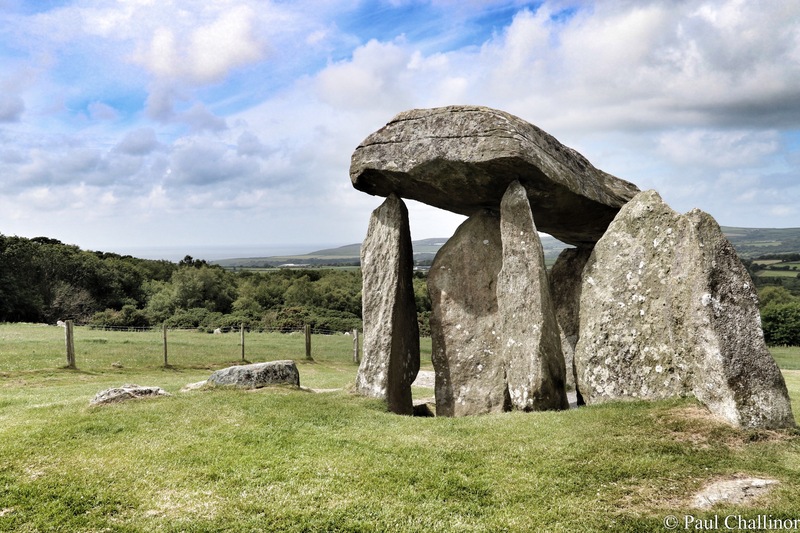 Cadw have produced a neat CGI video with an interpretation of how Pentre Ifan may have looked when it was complete. Click here. 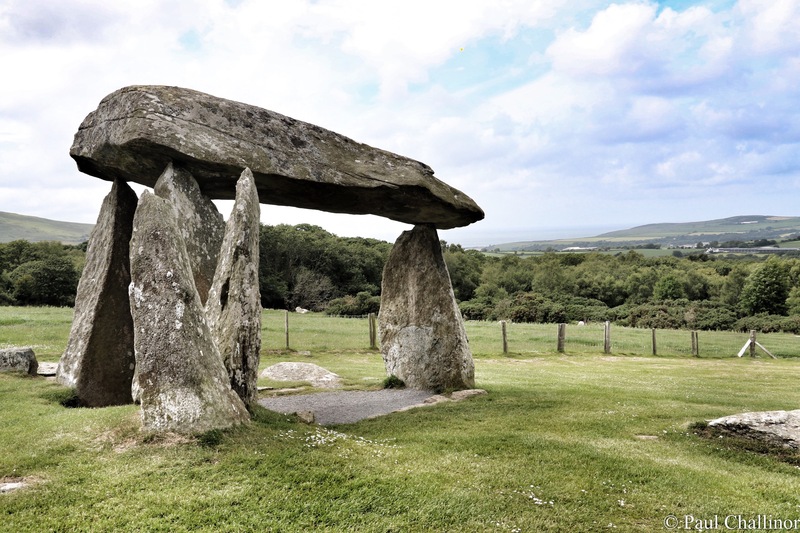 Like so many other mystical places the Wales Pentre Ifan has been linked with stories tell that the Tylwyth Teg (Fair Folk of Faeries) may be seen dancing about Pentre Ifan, appearing as little children dressed in clothes similar to soldier’s uniforms and wearing little red caps. 1: Nash, G. (2006) The Architecture of Death. Logaston Press.